Savvy Spending: Amazon: Caza Trail Creamy Hazelnut Coffee 100 K Cups for just 26 cents each! 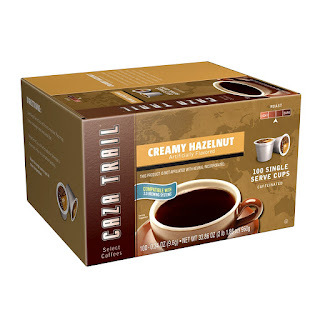 Amazon: Caza Trail Creamy Hazelnut Coffee 100 K Cups for just 26 cents each! Amazon has a coupon valid for 20% off Caza Trail coffees so you can get these Caza Trail Creamy Hazelnut Coffee 100 Single Serve Cups Box is just $26.24 shipped when you clip the 20% off coupon and opt for Subscribe & Save. That makes each K Cup just 26¢ per cup!